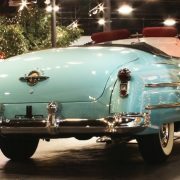 This is an original car with only 42,800 miles. 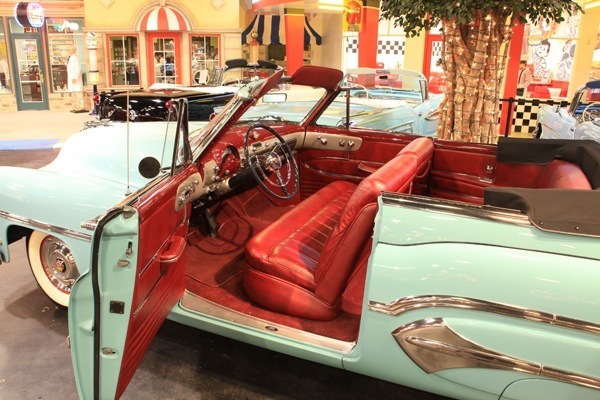 It has only been cosmetically restored. 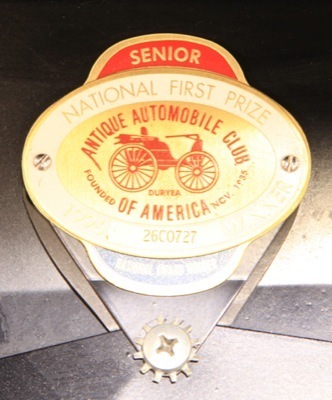 A senior national car show winner & part. 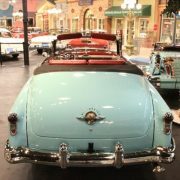 Of the Charles Cawley collection. 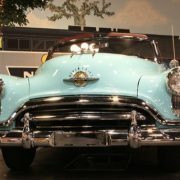 Powered by the “Rocket 8”. 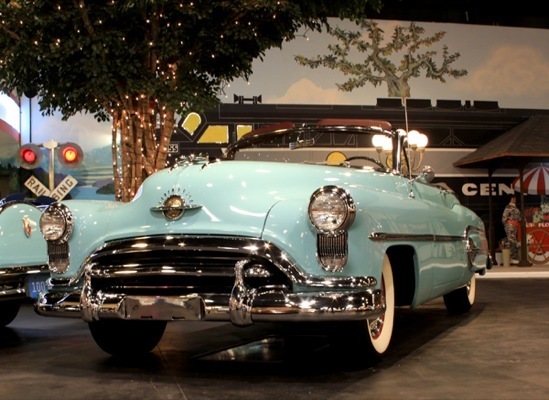 Oldsmobile was a brand of American automobile produced for most of its existence by General Motors. 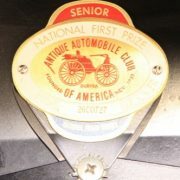 It was founded by Ransom E. Olds in 1897. 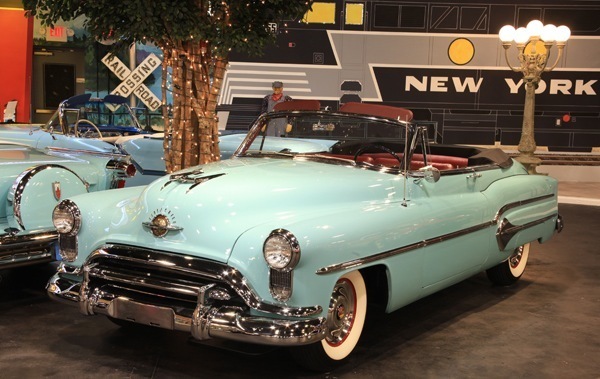 In its 107-year history, it produced 35.2 million cars, including at least 14 million built at its Lansing, Michigan factory. 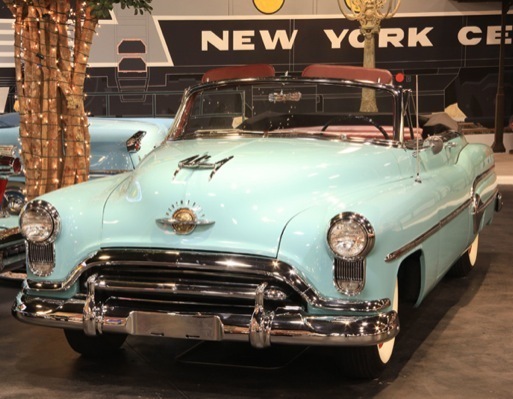 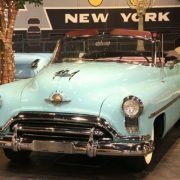 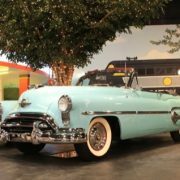 When it was phased out in 2004, Oldsmobile was the oldest surviving American automobile marque, and one of the oldest in the world, after Daimler and Peugeot. 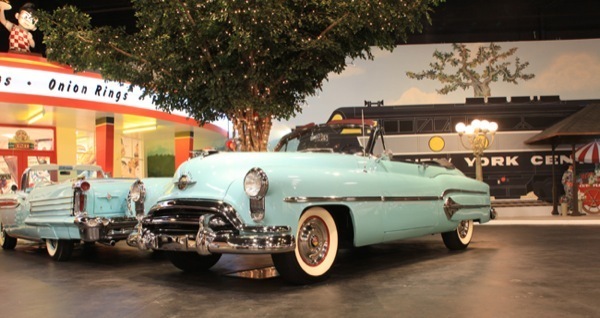 Oldsmobile was General Motors’ first brand to be phased out in the 21st century, after the company’s Geo and Canadian-market Asüna brands were phased out in the 1990s, and before the discontinuation of General Motors’ Pontiac, Saturn, and Hummer brands in 2010. 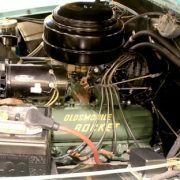 Oldsmobile entered the 1950s following a divisional image campaign centered on its ‘Rocket’ engines and its cars’ appearance followed suit. 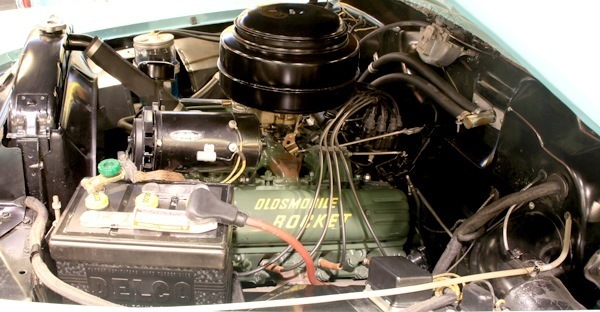 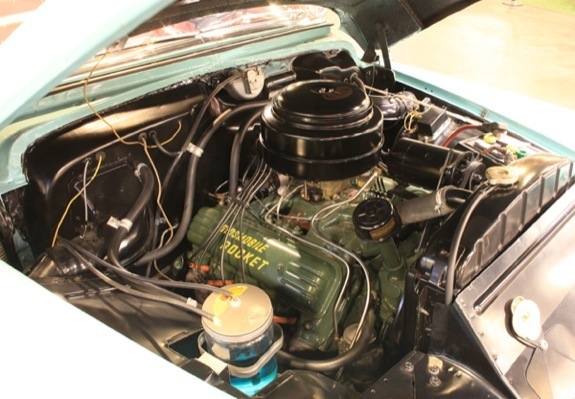 Oldsmobile’s Rocket V8 engine was the leader in performance, generally considered the fastest cars on the market and by the mid 1950s their styling was among the first to offer a wide, “open maw” grille, suggestive of jet propulsion. 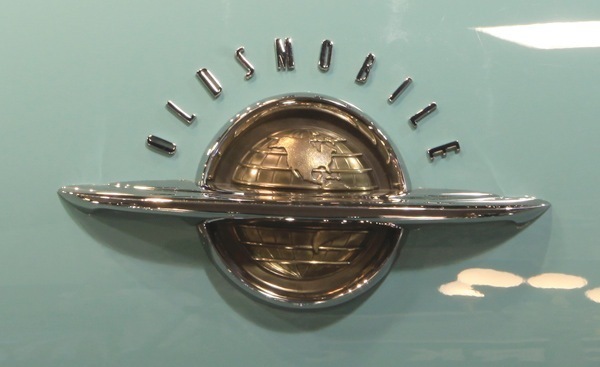 Oldsmobile adopted a ringed-globe emblem to stress what marketers felt was its universal appeal. 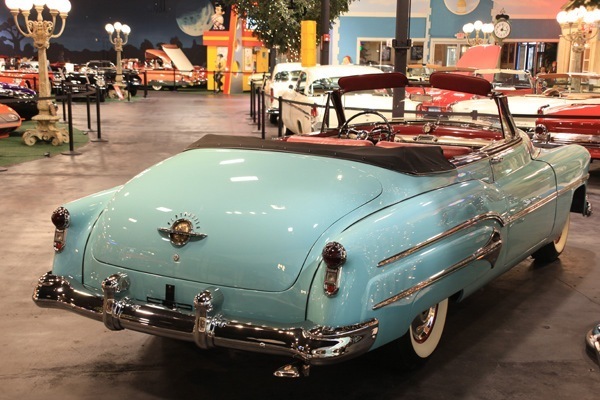 Throughout the 1950s, the make used twin jet pod-styled taillights as a nod to its “Rocket” theme. 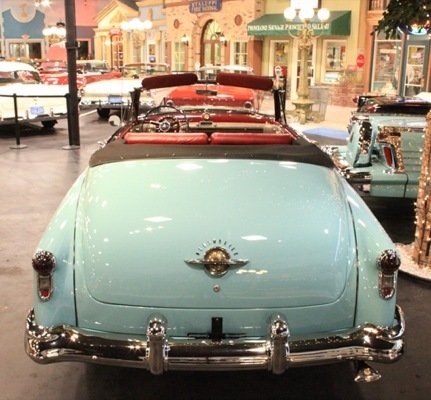 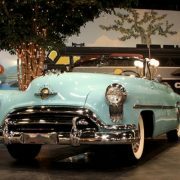 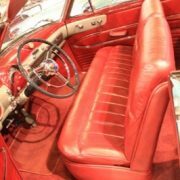 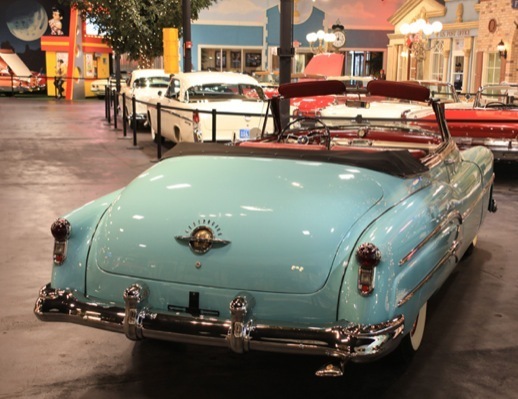 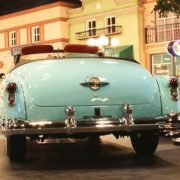 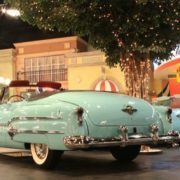 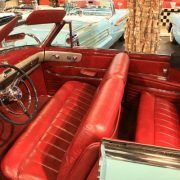 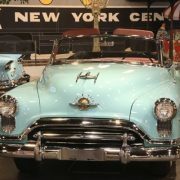 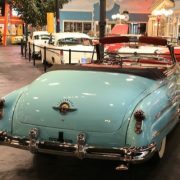 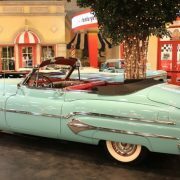 Oldsmobile was among the first of General Motors’ divisions to receive a true hardtop in 1949, and it was also among the first divisions (along with Buick and Cadillac) to receive a wraparound windshield, a trend that eventually all American makes would share at sometime between 1953 and 1964. 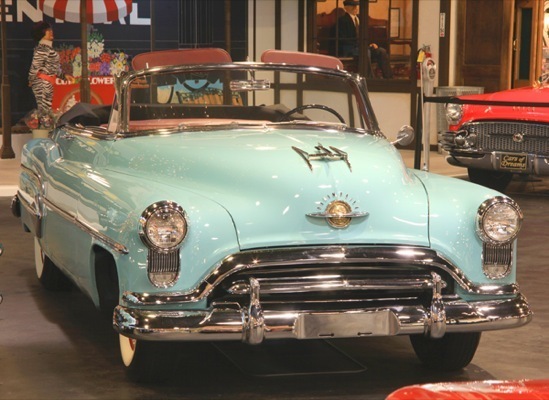 In the 1950s the nomenclature changed again, and trim levels also received names that were then mated with the model numbers. 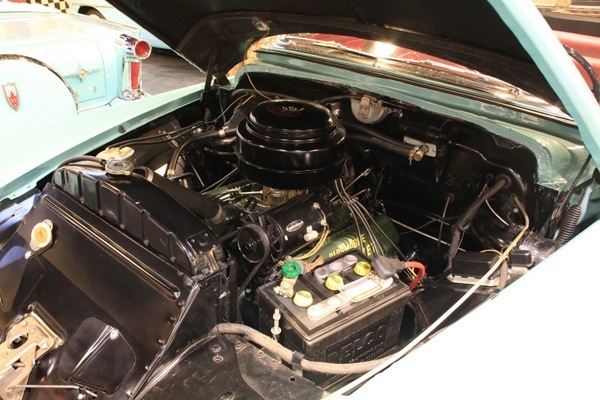 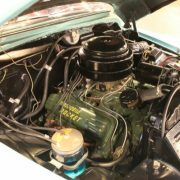 This resulted in the Oldsmobile 88 emerging as base Dynamic 88 and the highline Super 88. 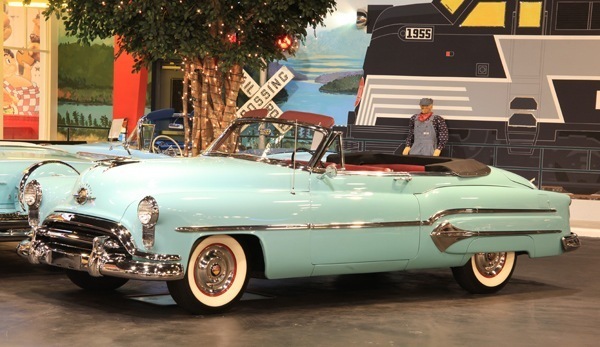 Other full-size model names included the “Holiday” used on hardtops, and “Fiesta” used on its station wagons. 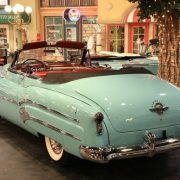 When the 88 was retired in 1999 (with a Fiftieth Anniversary Edition), its length of service was the longest model name used on American cars after the Chrysler New Yorker. 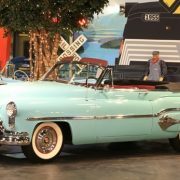 GM styling as a whole lost its frontrunner status in 1957 when Chrysler introduced Virgil Exner’s “Forward Look” designs. 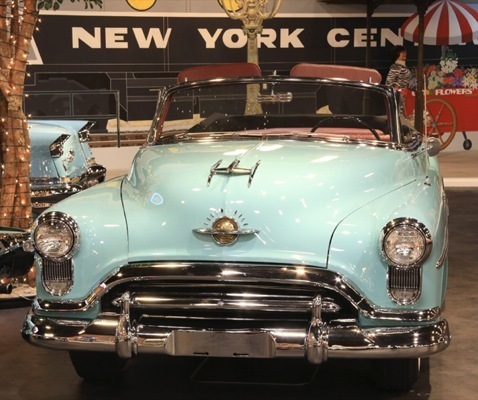 When compared side to side, Oldsmobile looked dated next to its price-point competitor DeSoto. 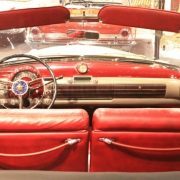 Compounding the problem for Oldsmobile and Buick was a styling mistake which GM called the “Strato Roof.” Both makes had models which contained the heavily framed rear window, but Detroit had been working with large curved backlights for almost a decade. 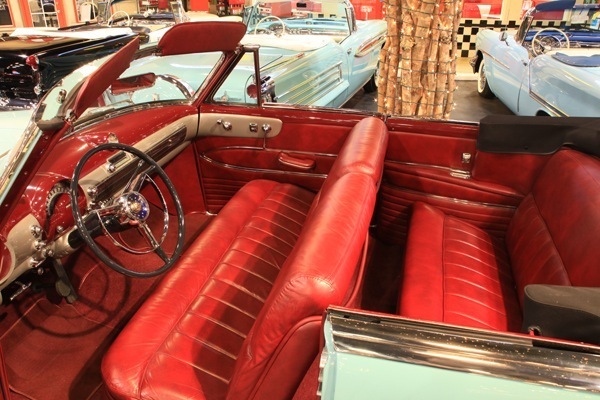 Consumers disliked the roof and its blind spots, forcing GM to rush a redesign into production on some of its models. 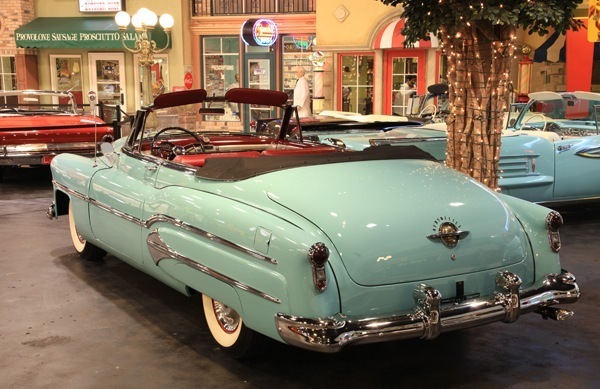 Oldsmobile’s only off year in the 1950s was 1958. 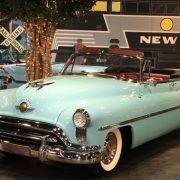 The nation was beginning to feel the results of its first significant post war recession, and US automobile sales were down for the model year. 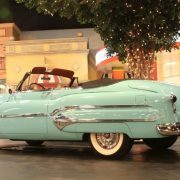 Oldsmobile, Buick and Cadillac received a heavy handed makeover of the 1957 GM designs. 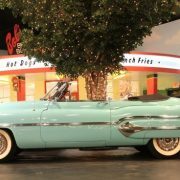 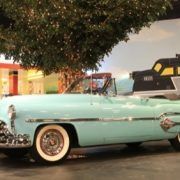 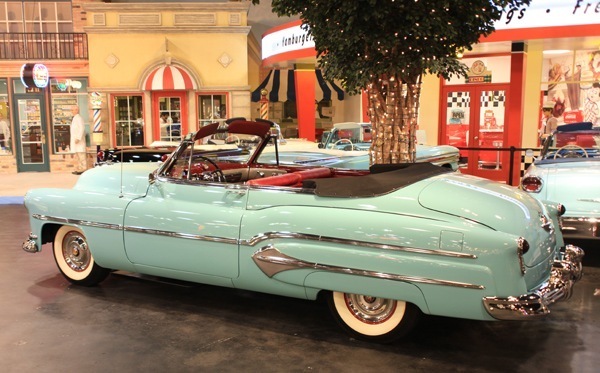 The Oldsmobile that emerged in 1958 bore little resemblance to the design of its forerunners; instead the car emerged as a large, over-decorated “chromemobile.”Up front, all 1958 Oldsmobiles received one of General Motors’ heavily styled front fascias and quad-headlights. 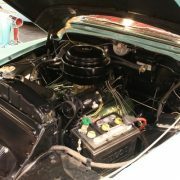 Streaking back from the edge of the headlights was a broad belt consisting of two strips of chrome on regular 88s, three strips on Super 88s, and three strips (top and bottom thin, inside thick) on 98s that ended in a point at mid-body. 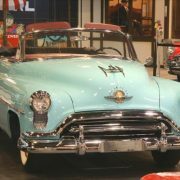 The bottom of the rear fender featured a thick stamping of a half tube that pointed forward, atop which was a chrome assembly of four horizontal chrome speed-lines that terminated into a vertical bar. 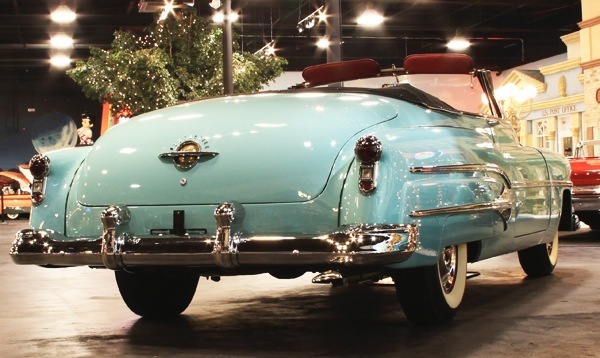 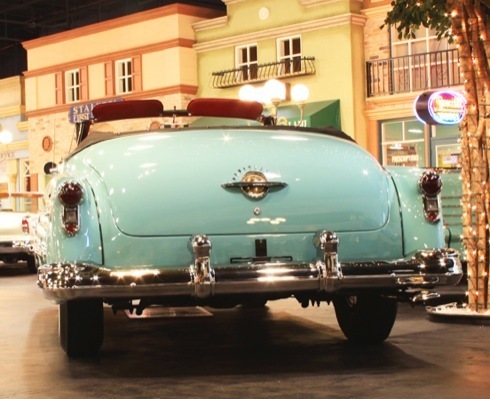 The tail of the car featured massive vertical chrome taillight housings. 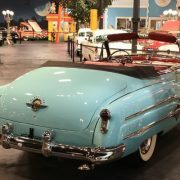 Two chrome stars were fitted to the trunklid. 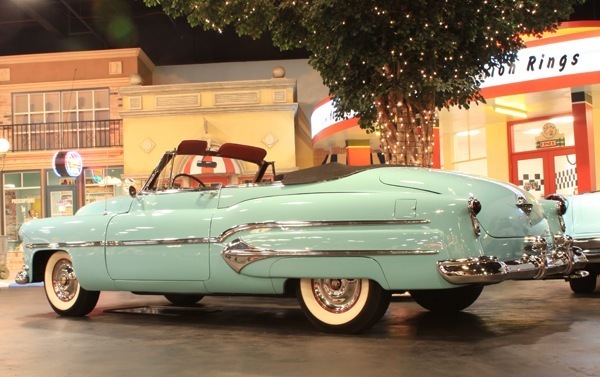 Ford styling consultant Alex Tremulis (designer of the 1948 Tucker Sedan) mocked the 1958 Oldsmobile by drawing cartoons of the car, and placing musical notes in the rear trim assembly. 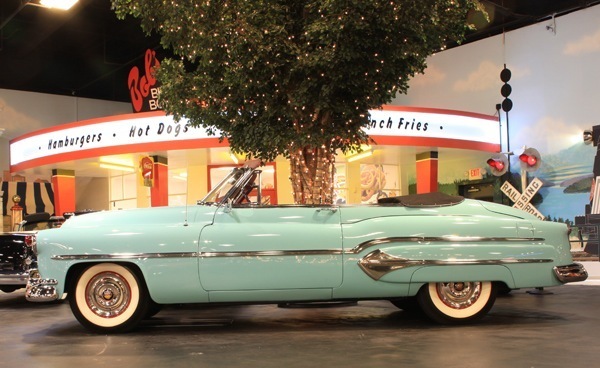 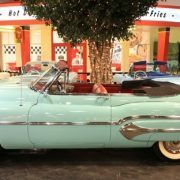 Another Detroit stylist employed by Ford bought a used 1958 Oldsmobile in the early 1960s, driving it daily to work. 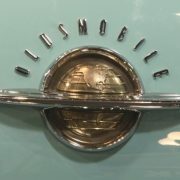 He detached and rearranged the OLDSMOBILE lettering above the grille to spell out SLOBMODEL as a reminder to himself and co-workers of what “bad” auto design meant to their business. 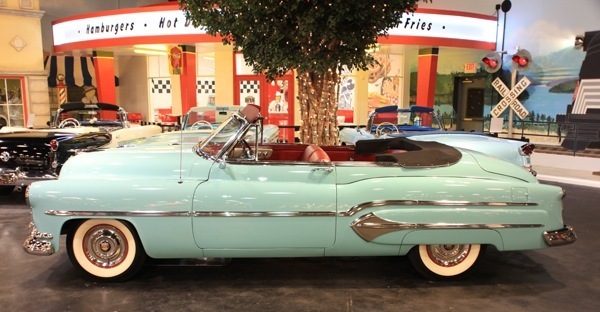 In 1959, Oldsmobile models were completely redesigned with a rocket motif from front to rear, as the top of the front fenders had a chrome rocket, while the body-length fins were shaped as rocket exhausts which culminated in a fin-top taillight (concave on the 98 models while convex on the 88 models). 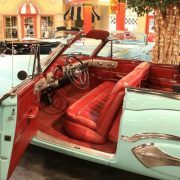 The 1959 models also offered several roof treatments, such as the pillared sedan with a fastback rear window and the Holiday SportSedan, which was a flat-roofed pillarless hardtop with wraparound front and rear glass. 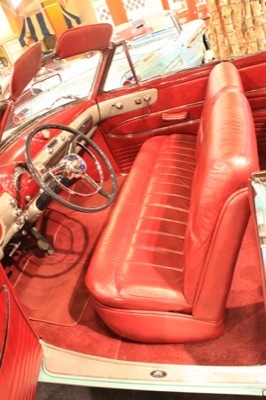 The 1959 models were marketed as “the Linear Look”, and also featured a bar-graph speedometer which showed a green indicator through 35 miles per hour (56 km/h), then changed to orange until 65 miles per hour (105 km/h), then was red above that until the highest speed read by the speedometer, 120 miles per hour (190 km/h). 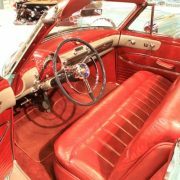 Power windows were available on the 98 models, as was two-speed electric windshield wipers with electrically-powered windshield washers. 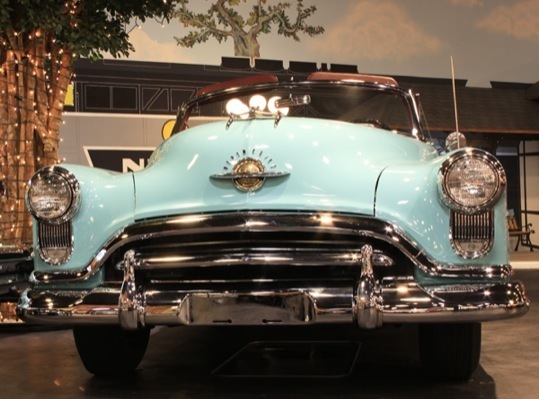 The 88 still relied on vacuum-operated windshield wipers without a washer feature. 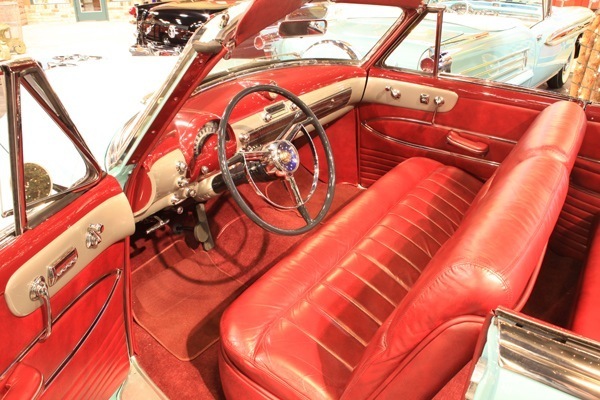 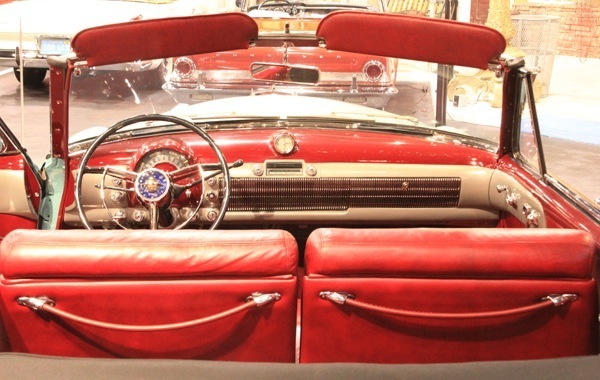 1959 Oldsmobiles were offered with “Autronic Eye” (a dashboard-mounted automatic headlight dimmer) as well as factory-installed air conditioning and power-operated front bench seat as available options.